If you want a floor that your kids and pets can play on that still suits your home, our luxury vinyl tile flooring in Mount Pleasant, SC, is for you. LVT is one of our most durable and cost-effective flooring, and we offer an enormous variety of it. When you pay a visit to our showroom, we stick with you from selection to installation. We even offer free measurements to make certain you’re buying a sufficient amount of material for your space. Schedule a consultation today, and our associates will be glad to work with you. 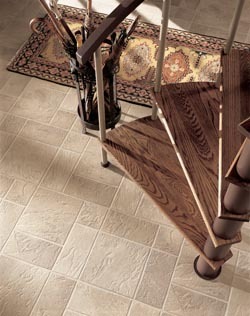 We offer multiple brands of luxury vinyl tile, such as COREtec, Shadow, Mohawk, and Downs. Some of these brands meet green building standards for environmental friendliness, so you can help the environment by installing a new floor. With all of the choices available, you’re sure to find one that meets all of your needs regarding both style and substance. This is even truer when you consider that LVT can resemble a range of floors, such as stone and ceramic tile. We put as much effort into installing floors as we do stocking and selling them. Our contractors take care to place them so they’re smooth and flat with no damage. We understand what a big investment flooring can be and treat it with the maximum care and attention to detail it deserves. Whether you want your new flooring to resemble natural stone or hardwood, we make it happen for you. After we’re finished, your LVT will offer resistance to slips, fire, and water, giving you the endurance you can depend on. When you’ve got a jam-packed schedule, you don’t have time to spend hours keeping your house clean. Our luxury vinyl tile flooring saves you that trouble by requiring only a little upkeep. A damp mop is all it takes to get the job done and have a shiny, squeaky-clean floor. We can instruct you on the best ways to care for your purchase to get the most life out of it possible. Contact us to learn more about luxury vinyl tile. Our doors are open to shoppers from Mount Pleasant, Charleston, Sullivan’s Island, Isle of Palms, and Daniel Island, South Carolina, and the nearby areas.